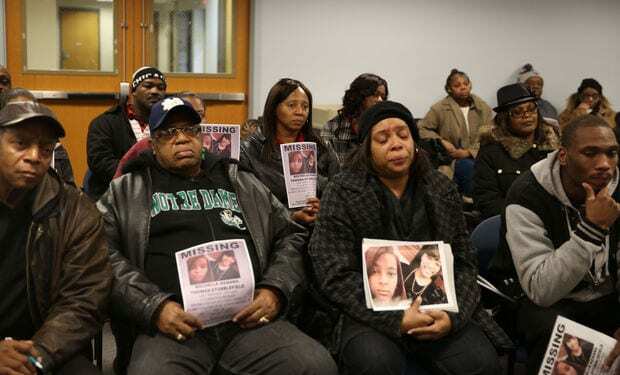 Thelma Thomas (second from right) of Merrillville, mother of the missing Rochelle Thomas Stubblefield, listens to investigators Friday (December 12) during a news conference seeking the public’s help in the case. Rochelle Thomas Stubblefield of Merrillville, In. was supposed to celebrate her 21st birthday on December 25 with friends and family. She was also supposed deliver her first child on Dec. 15—a boy, who she had already decided to name “Amir”. 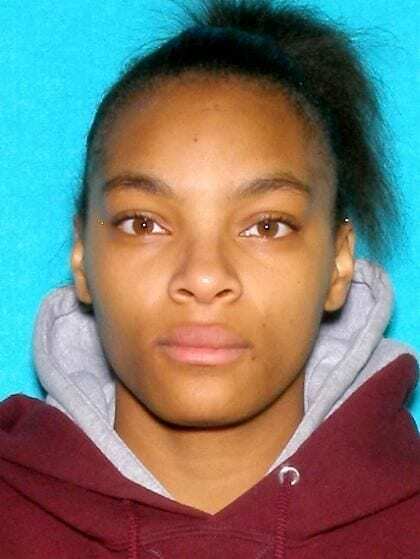 However, the 21-year-old went missing on Nov. 10 after attending classes early in the day and going a girls basketball game later on. Her family reported her missing on Nov. 12. Almost three months later, investigators are still unable to locate Stubblefield. The Calumet College student was attending school on a track scholarship. Calumet College of St. Joseph is a private college that is affiliated with the Roman Catholic Church. Stubblefield was a criminal justice student who had hopes of becoming a police officer upon graduation. Stubblefield was proud of her school, and she was last seen wearing a maroon Calumet College sweatshirt, black jeans, and glasses. Stubblefield’s friends and family are still desperate for answers. Police Detective George Dickerson from the Gary Police Department told reporters that investigators do have a person of interest in the case, but declined to comment further. Dickerson did say that this person is someone that Rochelle Stubblefield knows, and that the individual is not cooperating with police. Investigators have also recovered some personal items belonging to Stubblefield, but would not comment on the location that these items were found. “We don’t want to compromise the integrity of the investigation,” Detective Dickerson told the Chicago Tribune. Police did say that they suspect foul play, but were unable to comment any further. Police are asking anyone with information about the case to call (219) 755-3855 or the anonymous tip line at 866-CRIME-GP.